This weekend, I was feeling better since getting my cold a week ago and I managed to get out on both Saturday and today, Sunday. I have some out-of-order gallery postings here, but what the heck. Today, I spent a little time behind the Museum of Anthropology out at UBC. 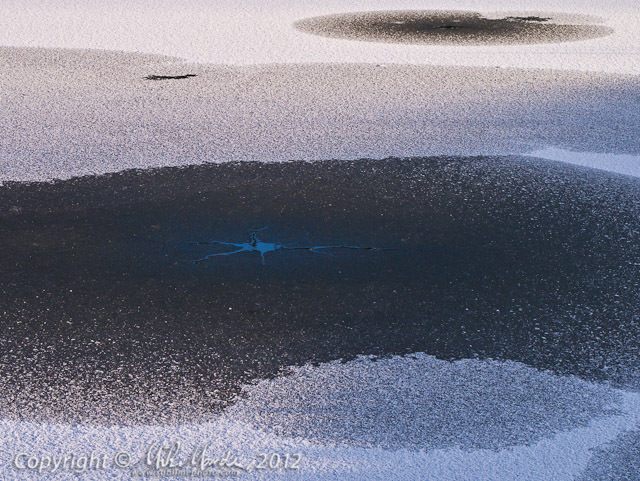 It was crisp, cold and icy, but that made for some interesting shots. The gallery is called Cold Walk at UBC MOA. A week ago, I went for a walk, exploring some back-alleys with my new Panasonic 14mm pancake lens and my GX1, hence the gallery titled Back-alleys and Pancakes. Dingy and grey it was, but I still found a handful of subjects. 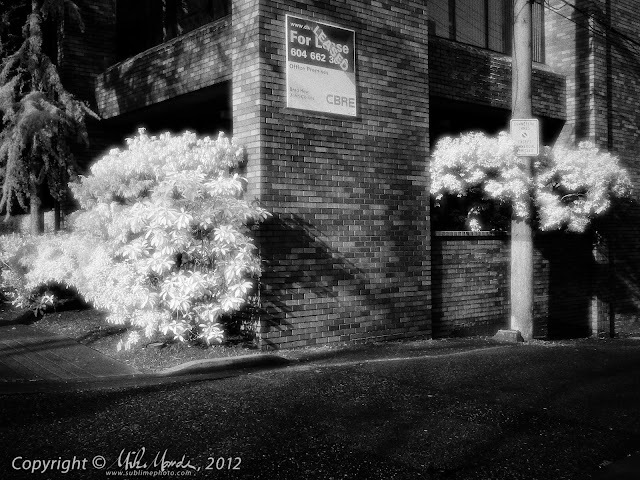 For those who have been following my blog, you'll know that I am quite a fan of the Fujifilm X100. 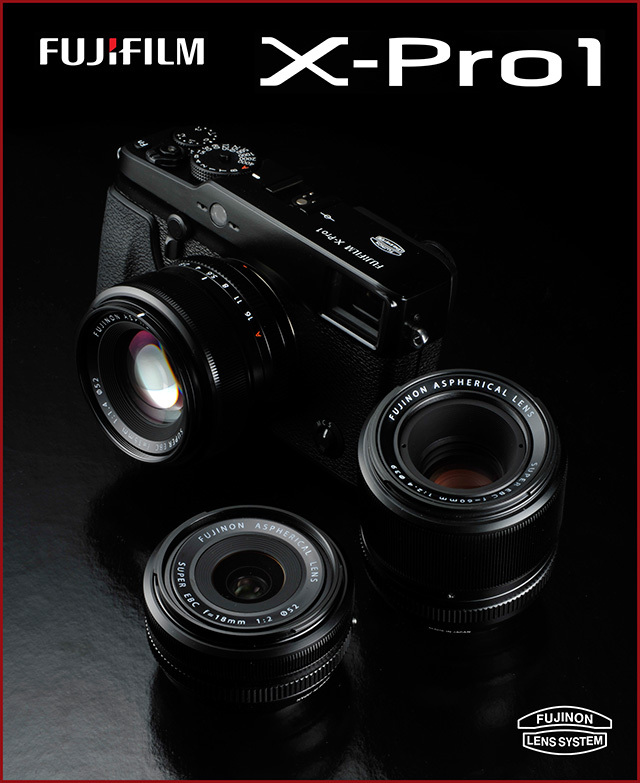 Well, I suppose you can then imagine that I was quite excited when Fujifilm finally announced what they had been hinting at, a full-blown interchangeable lens "version" of the X100. I hope to have an opportunity to handle this camera in person sometime in the next few weeks. If it turns out to be as good as it appears to me at the moment, after reading numerous previews online and watching various detailed demo videos, then I suspect that I will be buying into yet another camera system. At this point, I am pretty sure that I'll be fighting to get an X-Pro1 and all three of its initial prime lenses pictured above, when the system starts shipping in late February. Yes, I am that excited by its potential! Guess what I handled yesterday? If you guessed a brand new Nikon D4, you'd be right! Yep, a group of Nikon reps were kind enough to pay a surprise visit to Beau Photo yesterday and I got some hands-on time with their new flagship DSLR. Watch for an upcoming "first impressions" article on the Beau Photo Digital Blog in the next day or so. Happy New Year! ... and my first photo of 2012. 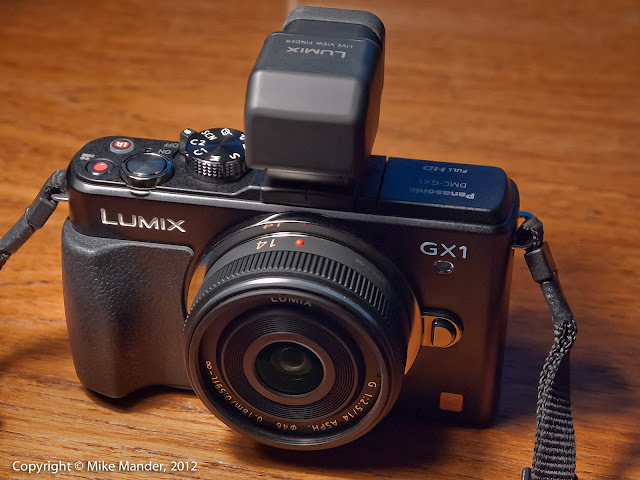 My first shot of 2012 is of my new Panasonic GX1 with its optional LVF2 viewfinder and my new 14mm f/2.5 pancake lens. It was taken with my new red Panasonic GF2! Why red? Well, next week I will be sending the GF2 down to LifePixel in Washington to be converted to a dedicated infrared camera and I figured a red body was fitting and will make it easier, at a glance, to tell which body is the IR one. That, and the fact that Panasonic was out of black GF2 kits that came with the 14mm pancake! I received both these cameras just before Christmas and have been shooting with the GX1 quite extensively for the last week. Watch for an upcoming review in the February Beau Photo newsletter and on the Beau Photo Digital Blogs, but suffice to say for now that I am very impressed. In fact, I would say its image quality on stills is slightly better even than my GH2, although I do miss the multi-aspect-ratio sensor. How is it better? Well I am judging the colour to be slightly more accurate and the dynamic range to be a little better. Also, while high ISO noise levels are similar, I feel that the GX1 offers a slightly tighter "grain" pattern with a little less blotchiness and less pattern artifacts like banding, when compared to the GH2. Again, these improvements are very minor so I would not hesitate to grab either camera in any given situation.